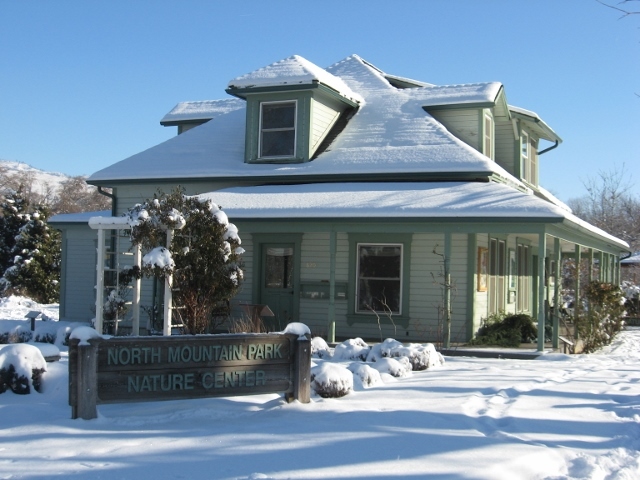 The North Mountain Park Nature Center is a division of APRC, located at 620 N Mountain Avenue in Ashland. Learn about fundraising efforts for our future Nature Play Area! Registration for WinterSpring is underway! 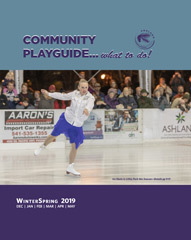 Programs in our WinterSpring 2019 PlayGuide run December, 2018 through May, 2019. View the current digital guide by clicking on the image. (You may also view in PDF format) Direct registration links are available for all applicable programs in the digital PlayGuides. North Mountain Park, located next to Bear Creek in beautiful Ashland Oregon, encompasses a Nature Center, Demonstration Gardens, playing fields and several acres of wildlife-friendly open space and trails. The mission of the Nature Center, which is part of the Ashland Parks & Recreation Department, is "to promote greater community awareness, understanding and enjoyment of the local natural environment, and to foster stewardship through educational programs and activities." While the majority of programs and activities described on this website take place at North Mountain Park, many others are offered at outlying park and school locations throughout Ashland. The idea of having a Nature Center at North Mountain Park arose from citizen input during the early planning phase of the park in 1995. After over a year of well-attended public meetings, the Ashland Parks Commission approved the idea of restoring the floodplain portion of the 40-acre park and developing a Nature Center on the site. Since 1997, APRC has funded the planning and the implementation of the community-led vision for the Nature Center and its associated programs. To learn more visit 620 N Mountain Ave in Ashland or call 541.488.6606. You may also visit the APRC home page or call 541.488.5340 for more information.